Buy Hermès Oran Sandals for a low price on EBAY! [Android App Only] Lazada Promo: Samsung Grand Deals Up to 40% off! [Android App Only] Pre-order Huawei Mate 20 now on LazMall! [App Only] Lazada Promo: Up to 90% off + Up to P1,111 Vouchers! Petal Velvet Set 20% off the Sunaway + FREE powder of your choice! S&R Membership Shopping now on Honestbee! Buy 1 bottle of Jameson and get FREE 2 Cans of Ginger Ale! Singles' Day is arguably THE biggest shopping event of the year! And ShopBack Philippines is here to make your 11-11 even more epic with special offers and sales during this highly anticipated shopping event. Expect to see the most awesome deals from the biggest online stores out there, not to mention plenty of promos and discounts as well. It doesn't matter if you're single or alone, celebrate your singlehood with close friends and family by going out and having a great meal while you enjoy savings with Honestbee promo codes and Foodpanda vouchers. There are also plenty of deals to be had with your favourite merchants on ShopBack, so be sure to check back often leading up to 11.11! And hey, it's not just a day for singles, looking for something extra special for your loved one or partner? Why not use one of our voucher codes to buy something nice (while saving a little), and even get cashback so you can put it towards a nice meal or save up for a trip together to someplace you've always wanted to go? As with any sales event, you'll be on the lookout for the best promo codes or discounts on products, services, and activities which you've been eyeing on. And Singles' Day is no exception! Especially since you know that you're planning to coincide that day with a huge shopping spree! And guess what, we at ShopBack Philippines want to provide the greatest combination of savings and vouchers, as well as cashback specially for you. So make ShopBack your first AND only stop for all the best 11 11 offers and discounts. Trust us, we'll be the one and only site that will satisfy all your shopping needs this year end shopping season! And the greatest thing about our 11-11 campaign page, is that you'll find all the best deals and discounts, off the best brands and across all categories, all in one place for your convenience. Headlining this 11.11 is none other than Lazada! And during this Online Revolution, they're bringing back their 11 peso voucher promo that is sure to delight longtime Lazada fans! How does the 11 pesos Lazada voucher work? Every day at various time slots, there'll be various products going for just 11 pesos! How amazing is that?! And you have to act fast because they're only usually valid for the first 150 or 200 customers! You can already start checking out what kind of deals they have! And if you haven't already started carting your wishlist, do so NOW! You never know if Lazada's checking to see what's on your wishlist and they might just surprise you with their special Lazada 11 Pesos promo. Come November, the annual online 11.11 Sales is coming back in full force at Shopee Philippines, bringing exclusive deals and cashback to ShopBackers. As you go about your Christmas shopping this festive season, why not take advantage of the Shopee 11.11 Big Christmas Sale? On top of an upsized cashback of up to 25% until the 14th of November 2018, there are also plenty of Shopee vouchers and 11.11 coupons up for grabs so you’ll definitely get the most bang for your buck. We're almost coming to the end of the year and if you feel like you need a reinvent or upgrade your look, there's no better time to do so than this 11 11 Sale! You can check out great deals and bargains from brands like Zalora or ASOS. Looking for sneakers like Nike Air Max or the latest Adidas Boost? Be sure to check popular marketplaces like AliExpress to find in-vogue or attractive gear at just the right prices. There's no limit to what kind of latest fashionable pieces you can find at way cheaper prices than any other time of the year. 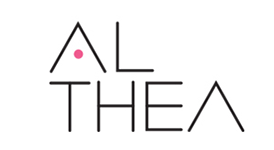 From dresses, graphic print T-shirts, skirts, blazers, and more. Spread the Singles' Day cheer by gifting your loved ones and families with thoughful gifts - just because. It's a little known fact that Singles' Day is also known as the Chinese's Cyber Monday. And why is this? It's because AliExpress, one of the biggest Chinese merchants on the online market is an active participant during the great 11 11 sale. You can expect all kinds of discounts on say... Smartphones. Be it budget, midrange or high-end, Singles' Day is definitely the day to find the latest tech so that you can continue to stay connected to the ones you love. Everything you need from accessories like phone cases, micro USB cables, headphones, speakers, etc. can be found. And best of all, you can earn cashback on your purchases! C'mon... Who're we kidding. We ALL know what we truly love... It's FOOD. Glorious food! And guess what? ShopBack Philippines has the very best discounts and deals on food and beverages, groceries, snacks, as well as food delivery which is sure to keep your stomachs full and your spirits up! Even if you're single, you can throw an awesome party for all of your single friends and order favourites like Jollibee, McDonald's, KFC, Starbucks, and more! Go the extra mile and bulk-purchase beverages in six packs, family sized bags of chips, and even the best tasting salsa dips today to make your party one to remember! The best thing is that you can make use of tonnes of 11-11 food deals and even get to enjoy to save money on food deliveries! ShopBack Philippines Gives You Fantastic Cashback Rebates On Top Of Special 11.11 Deals! You know that ShopBack Philippines always has your back when it comes to a great voucher or discount, especially on the greatest shopping day of the year. So don't worry, 11.11 deals are never in short supply, and you definitely can be saving a decent amount of money too with our exclusive cashback rebates. 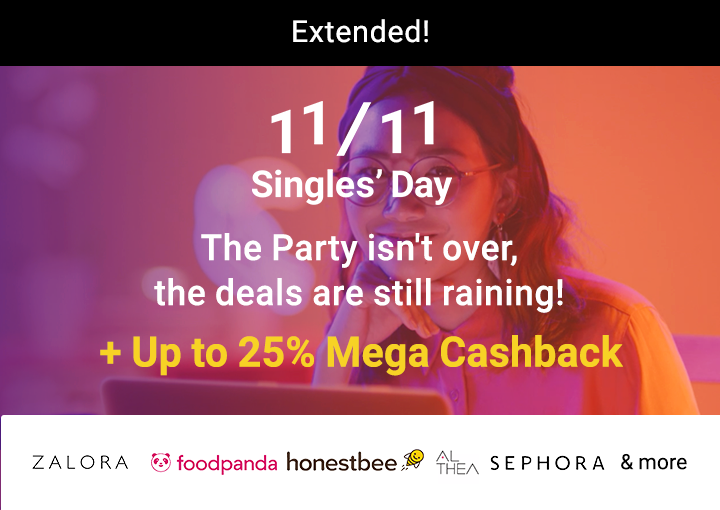 Whether you're single or attached, don't be the odd one out and miss the massive savings and deals to be had during Singles' Day! Singles' Day sale is also part of the 4-month long Shopping Festival that is ShopFest which spans from September 2018 to January 2019.